One day, I ordered alcohol at a restaurant and wasn't asked for my ID. This shocking slap in the face hurt my ego to the point of turning into a mad scientist. My mission was to invest time and energy into skincare research, and nothing could stop me. My sensitive skin did not agree with physical exfoliants (the particles were too abrasive). As I got familiar with the world of YouTube, skincare guru Caroline Hirons brought the chemical exfoliant to my attention: notably the Pixi Glow Tonic. It remained my holy grail for 5 whole years... Until I realized the lack of alternatives gave me anxiety. 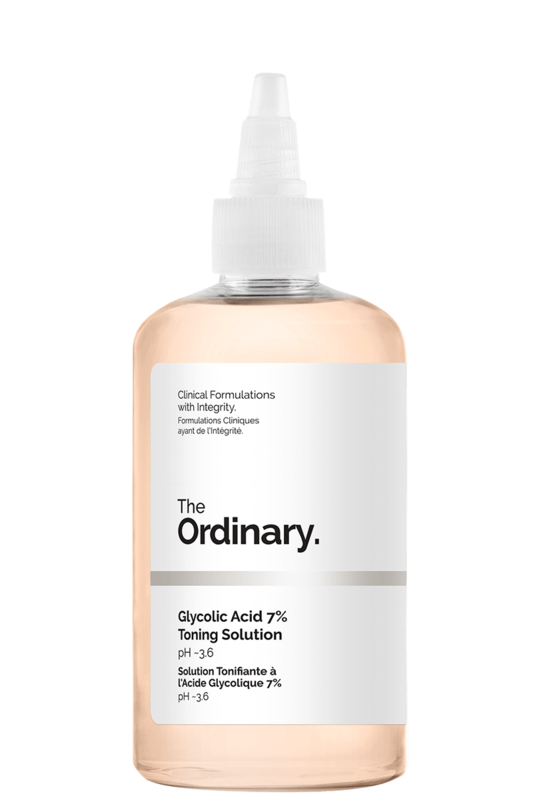 Thanks to Amazon Prime (and my complete incapacity to turn down a skincare spree) I came across The Ordinary Glycolic Acid Toning Solution. The buildup of dead skin cells is one of the main causes for dull complexion. There is no makeup product or concealer that can fix it, and I learnt that the hard way... The Glycolic Acid Toning Solution removes top layers of dead skin cells without scraping the skin. You will feel refreshed and glowing, minus the redness or irritation. As well as being affordable, this toner get the JOD DONE. The brand is all about integrity and providing the best clinical skin solutions at a reasonable price. I use a chemical exfoliant after cleansing, as step 2 of my skincare routine. The following products include a hydrating toner, serum and moisturizer. I highly recommend wearing SPF regularly to stay clear from sun damage.